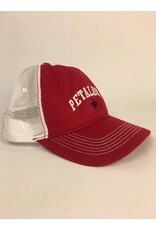 Super styling cotton twill trucker hat with white mesh and adjustable back. 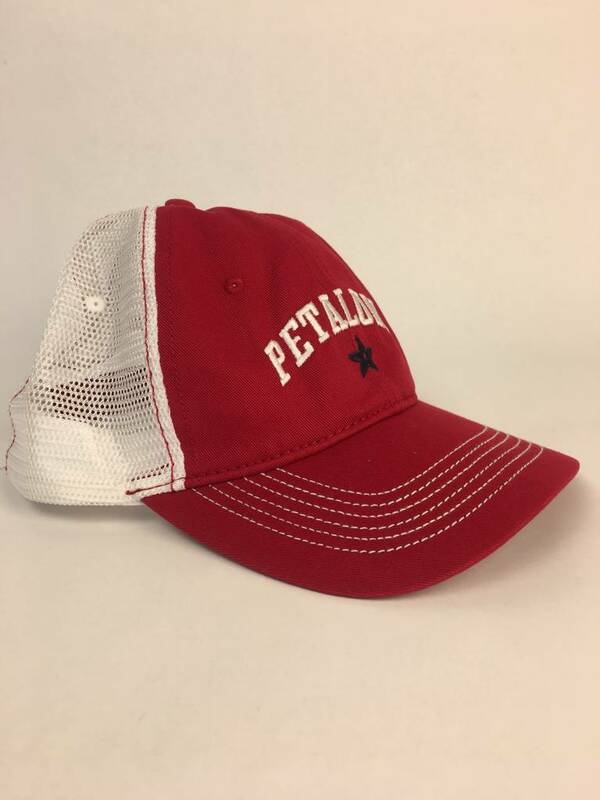 Contrast stitching and detailing. 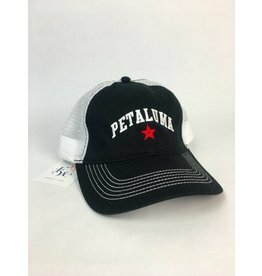 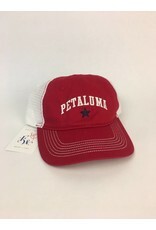 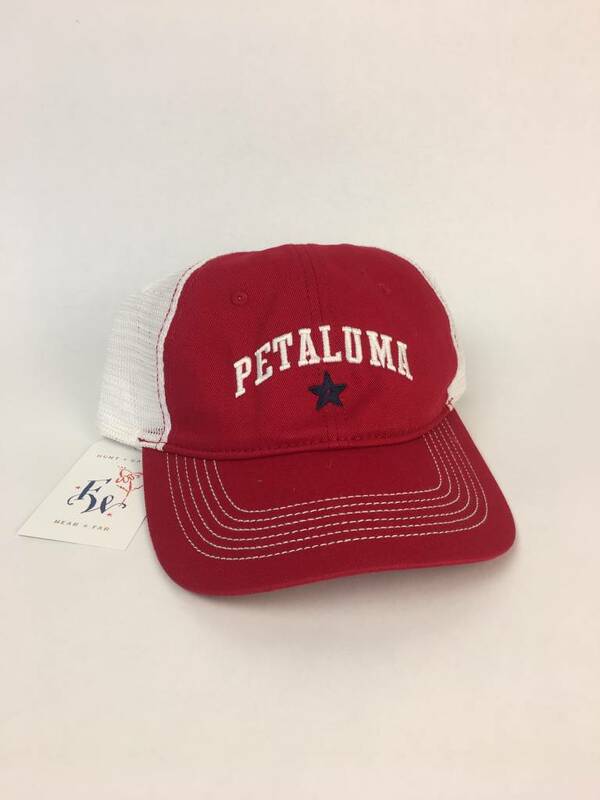 Has the popular Petaluma star image embroidered on front - white type and blue star.